OSECO, Inc. (Oklahoma Safety Equipment Company)upture Disks are designed for applications where lower rupture pressures are required than can be achieved with standard rupture disks. These disks are constructed in combinations of most rupture disk materials. Teflon is the most commonly used seal material, however, metal seals are available for high operating temperatures and pressures. 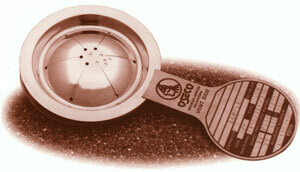 The disks are designed for minimal fragmentation when used with a Teflon seal. The flat seat composite style rupture disk is designed for use in the non-torque sensitive FRDI holder. If exposed to vacuum conditions, this disk requires a vacuum support. The vacuum support is designed to give full, unrestricted relief area at all pressures.